A friend and I have recently unleashed our first ever video game on the unsuspecting citicens of the world. Hooray! 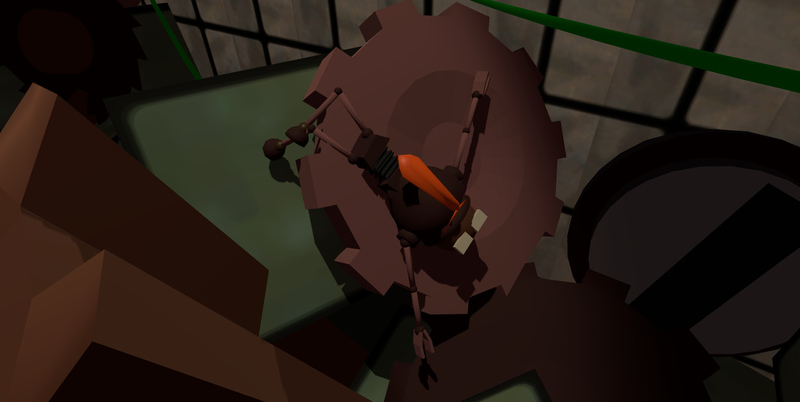 RoboTraps is a Virtual Reality puzzler in which you're working as a small employee in a factory producing deadly traps. Your job is to make sure the robots working there don't accidentally destroy themselves, and if you do your job well, you'll be rewarded! With coffee mugs for your desk, encouraging(?) words, and promotions that don't do anything. Just like in real life. So how do I get this game of yours? 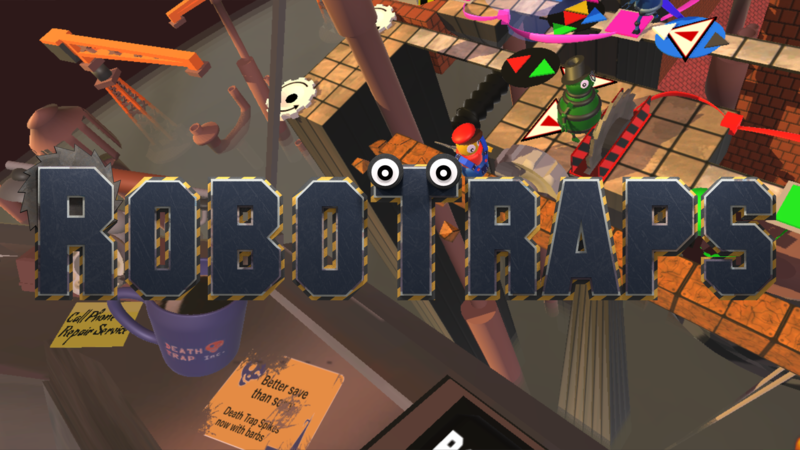 Being a VR game, RoboTraps is currently available for both your Android smartphone or the Oculus Rift. 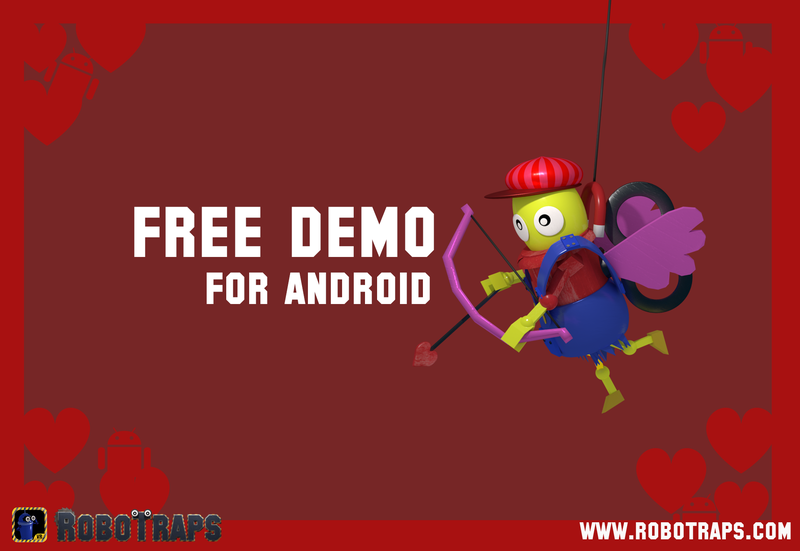 In case you're not so sure whether your smartphone can keep up with the game, we're going to release a free demo of RoboTraps very soon (hopefully tomorrow). The free demo only has a fraction of the levels the full game has, but it's perfect to try out whether you're suited to work at an established company like Death Trap IncTM. Versions for the Vive, Daydream, IOS and others are currently being prepared. Check our website, robotraps.com, or visit us at facebook to always stay updated on this. Or just, you know, post in and/or follow this thread. But Asper, VR is sooo expensive! How could I ever afford it? I hear you, high-end VR devices (like the Oculus Rift) aren't really something you just throw in your basket when shopping groceries. However, if you already own a smartphone, you could just get a cardboard and the Android version of the game. Cardboards are far more affordable, with decent ones being available already at around 5 bucks. So forget about roses and chocolate for Valentine's, there's nothing more romantic than working in a virtual monorail-cubicle and saving robots from buzz saws or flamethrowers. Some say this day is about money... But that's nonsense! In reality, it's about giving away free stuff to get yourself an advantage in the long run love! 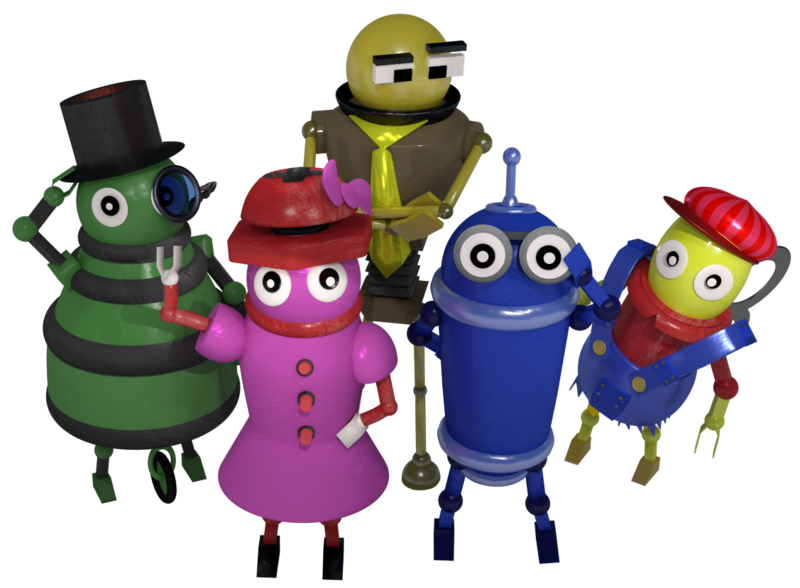 And because of this, I'd like to let you all know that RoboTraps now has a free demo version! It features the first 3 levels of the game and gives you a good impression about how the full version looks and feels. Get it here. We now got a version for the HTC Vive, btw. Next in line: Steam VR Store and better Oculus Touch support. This looks really cool! Unfortunately, I don't even have a phone, so VR is not going to be my thing for a while. It's at the moment available over Viveport only, although as I type some company is checking my passport so I can push it to Steam VR. *This is a reference. No, not this! The text above with the asterisk behind it. THIS is a footnote. Duh! Also, the Oculus version now supports Oculus Touch. Check out the amazing remote control model. That's some high tech stuff there. Also also, we added some settings so motion-sensitive folks can switch off the office movement. Motion sickness is something people often complain about, and I don't want people to have less fun because of it. After long consideration, the movement is still active by default, as after all it adds a lot to the environment. PS: If anybody here on fds has an Oculus, Google Cardboard or HTC Vive, I can give away some free promo codes - just send me a pm to get it. You should be an actually active member of fds though. I tried the demo and it set my phone on fire. Seriously though, I hope your phone wasn't literally on fire? If it was, I'll draw it from the stores immediately. If it just got hot, I'm very sorry to hear that. It's kind of the point of the demo that people can check how the app runs on their device before they purchase it and possibly regret it later. Either way, I can't tolerate if there's actually a hazard included, so please let me know. Also one question, which phone model do you use? Also it goes without saying that I will replace your phone if it actually cought fire. The idea that an app I created might be a danger to people actually scares me sh*tless. I guess I'll draw the Android version from stores now just in case. Please let me know if you were just being funny. Edit: Apparently Witherweaver was being funny. I was being dumb. I can't tell if you're playing along with the joke or not, but if not I'm sorry, I didn't mean to startle you or anything. It was a reference to this week's Silicon Valley. It was a joke. I'm sorry, I didn't think about it It was just a joke because Silicon Valley did a VR bit and then this VR thing popped up. Let me know when you have a hololens version available. Don't beat yourself up about it, I guess I was just being a bit dense there. It's just that after that SAMSUNG-producing-exploding-smartphones-thing nothing seemed impossible to me anymore, and I felt that even at the risk of making a fool of myself, I should react as fast as possible. It didn't help that some older phones are actually getting a bit hot when running VR apps (although from all I know they always just switch off when getting too hot). Either way, no hard feelings. Also, everyone googling for the game now that it's out on Steam can see me make a fool of myself. Hello world! That's not planned for now, I'm afraid. But if we do one, I'll certainly let you know. Currently working on a major update that will add 4 more levels to the game. Will take a while, as I'm basically on my own and technically writing my master thesis. On the bright side, I got to use my new Wacom tablet to draw Skully the Skull here. Gotta enjoy the little things. Like, tiny, because this isn't all that big later in the game. Ah well.